For avid gamers, having the best gaming monitor gives an imperative experience . 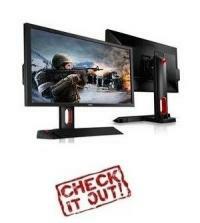 Most professionals who play fast paced and first person shooter games use a 120 Hz monitor. There are multiple options available for 2D and 3D gaming monitors; here is a list of the top monitors on the market today, as well as a glance at the specifications to consider when assessing a monitor for gaming purposes. Purchasing a monitor is half about performance and half about aesthetics. As far as hardware is concerned for gaming, you want to pay particular attention to the resolution and input response times. The resolution is how many pixels are displayed horizontally and vertically, and a higher resolution can mean more precision when you are aiming down your sights. Input response time is how long it takes for the pixels to change over to the next image, so a lower response time can speed up your reactions by that fraction of a second that matters. The actual size of the screen is only important when considering where the monitor will be set up and how far away from the screen you will be sitting. These monitors are intended for PC gaming, which will generally have the user sitting close to the screen, and there will only be one user. You will want to look for more traditional TVs if your purchase will be used for a living room setup. What makes a good gaming monitor? Response time refers to the time it takes for your monitor to refresh its images. In gaming, you will be prompting your monitor to constantly give you images as you play. The lower the response time, the better. Normally, 8ms (8 milliseconds) is a good enough speed for the typical gamer. However, if you are into competitive gaming, you will need something faster. As professional gamers have to respond faster to different actions in game , you’ll want a monitor that will respond faster . So in those cases, opt for a monitor with a speed between 2ms and 5ms if it’s a TN panel. 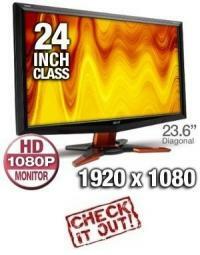 Most monitors on the market have the TN type of panel because these are fairly cheap and have lower power-consumption. However, if you’ve been won over by the intensity of images in the IPS panel, a newer technology on the market, then you could contend with a response time of 6ms. IPS panel monitors have sharper and smoother images. Keep in mind though that this newer technology also comes with a higher price tag. Technology is changing fast, and more and more people are becoming more tech savvy. This means that although no one will advise you to bite off more than you can chew, sometimes cost is no deterrent when seeking to satisfy the ‘techno appetite’. You may, therefore, wish to bare your wallet and go for S-IPS (Super IPS), a monitor that gives you the best of both worlds. It has the fast speed of the TN panel coupled with the stunning images of the IPS panel. Frequency is defined in terms of hertz, 60hz monitor or a 120hz monitor. The hertz refers to the speed (in cycles per second) at which a monitor compiles an image to ready it for viewing. The higher the speed in hertz, the better the images. If the speed is too low, the images often come off as blurred and hard to make out. For the gaming aficionado, it would be better to go for a monitor with a frequency of 120hz. As we analyze the workings of a gaming monitor, we must realize that while the monitor facilitates our viewing, the material that we use is dished out somewhere else. The graphic card does the dishing out of the images and it performs this fundamental function in terms of frames per second, e.g., 60fps or 120fps. 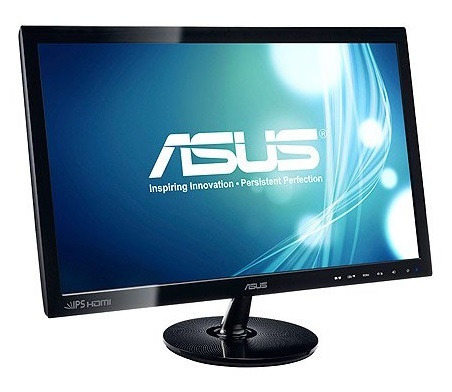 A good gaming monitor should have a speed that is compatible with the graphic card being used. If your graphic card speed is high, make sure your screen speed is sufficiently high as well. The features on the RL2450HT are standard for what you should be looking for in a gaming monitor. The 24″ screen is incredibly thin, and the base it rests on will not take up much desk space. The resolution and response time are the same as the previous Samsung monitor, going up to a nice 1920 x 1080 with a 2ms gtg response time. VGA, DVI, and HDMI connectivity makes sure you can use it with any computer. The monitor was specifically built for Pro Rts players (Starcraft2 to be precise) . The monitor also is one of the cheapest on the list of gaming monitors, which could be something to keep in mind if you intend to go for a great budget model . This 3D Acer monitor enhances your gaming experience without harming your budget. For the low average running rate of sub $300, this 3D LCD monitor features 1920X1080P HD, 120 Hz refresh rate, and 2ms response time for each of those intense win or lose moments during your game. The monitor package includes the 3D glasses and is Eyefinity -Nvidia 2D-3D surround ready. The Acer GD235Hzbid is ready to connect through HDMI, VGA, and DVI connections, making setting the monitor up convenient and easy so you can get back to your favorite games fast. 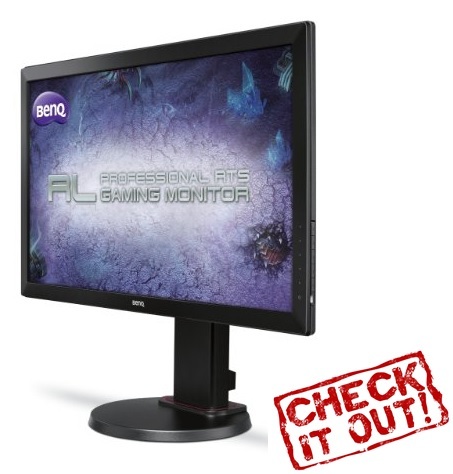 The best monitor on the market for Nvidia cards is BenQ’s 24″ XL2430T. It is currently the highest rated monitor by gamers worldwide. It offers two separate modes for FPS and RTS so you will be able to conveniently switch from your favorite first person shooter game to your favorite role playing game without any scaling issues. It is Eyefinity Monitor – Nvidia 2D-3D surround and Nvidia 32 VisionTM 2 ready. The monitor comes with its own remote control, so it is great for anyone who runs a wireless keyboard and mouse set-up. With a width at just approximately 1″ thick, the Dell U2312HM IPS monitor is the sleekest gaming monitor you will be able to find. 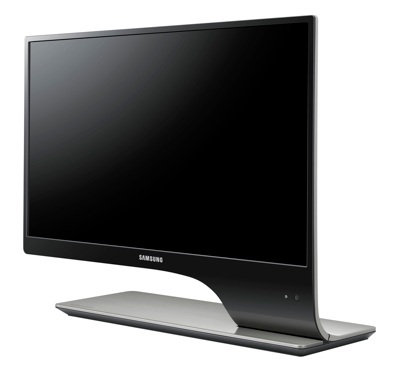 Its thin body does not detract from its display, and the monitor offers an amazingly large viewing angle. The resolution goes up to a great 1920 x 1080p HD, the quick 8ms input response time is one the fastest times you can expect from a monitor. In addition to the gaming experience that the Dell U2312HM gaming monitor offers, it is designed to reduce eyestrain for those avid players who spend long hours on their computer or console. With a sticker price of just under $150, this Full HD LED IPS 23 inch monitor is hands-down the best budget ips based solution. Offering you an incredible blend of super high performance – as well as resolution of full 1080p support, a very friendly price point , this is probably the best starter IPS monitor for casual and hard-core gamers alike. If you are looking for a monitor that not only has perfect performance, but one that allows you to connect your game consoles to it rather easily, this should be your top consideration. This monitor is 3D LED ready and comes equipped with a 5ms response time for ultimate 3D gaming and smooth video experience. With 1920×1080 full HD resolution and VGA, DVI-D, HDMI and 1.4 input links that allow for direct connection to 3D Blu ray or PS3 consoles, stereo speakers and one pair of polarized 3D eyeglasses, this is the ideal monitor for all your media , gaming and entertainment needs. Note that this monitor is 60hz. If you’re looking for a truly immersive experience and are a hard-core gamer that only will settle for the best of the best , then you’re going to love everything that the Dell UltraSharp U3011 30″ Monitor has to offer. 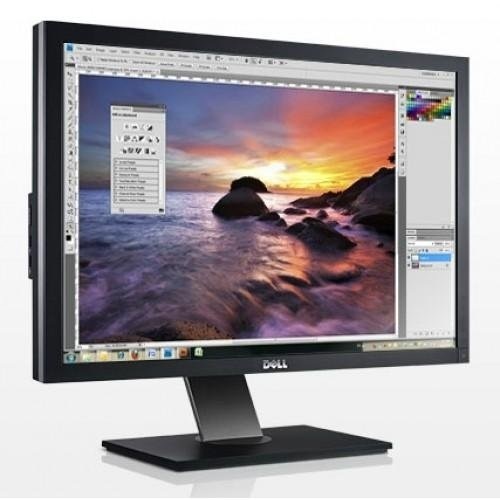 Bigger than most monitors and offering stunning video quality that Dell’s commercial level monitors have become known for around the world. With a sticker price that will knock you off shoes at right around $1100 – this is definitely not for everyone but will change the way you look at gaming forever.